What are your photography and videography style? Most of the photography and videography on your wedding day will be considered wedding video/photojournalism. Capturing the day as it unfolds with no interference by the photographer and videographer. I aim for a simple, classic look, that captures the emotions shared throughout the day. When working with the bride and groom, the wedding party and family formals, the emphasis shifts to more of an casual portrait approach. We give gentle direction and often naturally pose images as needed. I have two offices. One is in Manalapan, NJ and the other one is in Brooklyn, NY. Yes, I love traveling and happy to do so! I have been as far to Haiti, Florida, Connecticut, Boston, Poconos and the Dominican Republic to capture weddings but looking to travel farther. Our basic package is $ 2000 for 8Hrs video and photo and $ 1100.00 for either one. Every wedding is unique and nobody ever fits into a specific package. All our customers start with the basic package as a starting point. We customize all our quotes depending on the clients needs. Comprehensive packages include: Coverage by Frantz and Mackenzie and a Second videographer/photographer or both if selected, custom made wedding album, engagement session, Video and slideshow presentation at the reception hall on portable flat screen. online hosting of your images, and high resolution digital negatives on DVD and more. Please fill out our CONTACT PAGE so we can start the conversation. When will we get our photos and video? Your image will be online 3 days from the day of your wedding for you and guests to view. If you only choose a basic package, everything will be shipped to you within two weeks max. 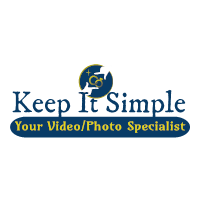 It is an upgrade option where you can pay an additional fee to have a second cameraman or photographer or both at your wedding. Mackenzie and Frantz will be with you most of the day/night. A second shooter is a great addition to your wedding day that will capture those moments that will be happening around you during your day that we might not be able to. For example, the cocktail hour while we shoot the formals or the groom getting ready while we shoot the bride getting ready. We offer engagement session complimentary to our couples who choose the advanced comprehensive package. The reason why is that we want to get to know you and we want you guys to get to know us. I want to learn how you both met and learn more about your wedding day. Many couple have never been in front of a professional camera and might have their reservations. Therefore the engagement session is a great way for us to go out for an hour or two to have some fun in a totally relaxed environment. We pick you up and take you to a nice restaurant for lunch and after that, visit some exotic sites around the city while videotaping and taking pictures of both of you. When the wedding day comes around, you will have already worked with us, have seen the images of the session where these images and the video footage compilation will be presented on a 60" flat screen TV in the reception hall for everyone to see. Do you have references from couples you have worked with? Can I see a whole wedding photo? Go to this link and you can look at most of my clients' full wedding. We have backup cameras and flashes of the same quality of the camera gear we use. We also have a backup crew in case of an emergency. Since 1995 shooting live events and mostly concert and started doing wedding in 2000 full time and enjoying every minute of it. What if you get sick and are not able to shoot our wedding? Many of my great friends are also local wedding photographers. Often when I am not shooting my own weddings I am helping them or vice versa. Therefore, one of my close friends/colleagues would cover your wedding.